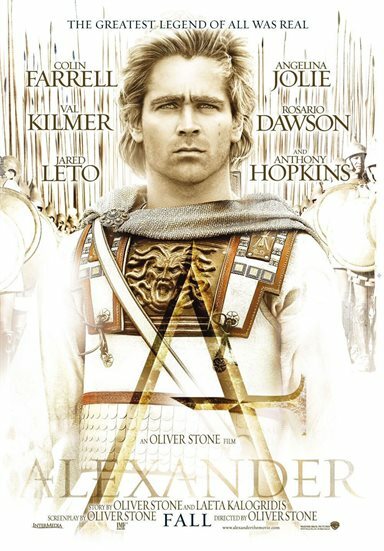 From Academy Award-winning director Oliver Stone ("Any Given Sunday," "Platoon") comes this epic story of Alexander the Great, the King of Macedonia and one of the greatest military leaders in the history of warfare, who over an eight year period managed to conquer 90% of the known world of his time by age 25. This story chronicles Alexander's path to becoming a living legend, from a youth fueled by dreams of myth, glory, and adventure, to his intense bonds with his closest companions, to his lonely death as a ruler of a vast empire - an incredible story of a life that united the Known World and proved that, if nothing else, fortune favors the bold. Starring Colin Farrell ("S.W.A.T.," "Minority Report"), Academy Award-winners Angelina Jolie ("Tomb Raider" 1 and 2, "Girl, Interrupted") and Anthony Hopkins ("Hearts in Atlantis," "Hannibal"), Val Kilmer ("Spartan," "Heat"), Jared Leto ("Panic Room," "Fight Club") and Rosario Dawson ("Sin City," Men In Black II"). Download Alexander in Digital HD from the iTunes store. 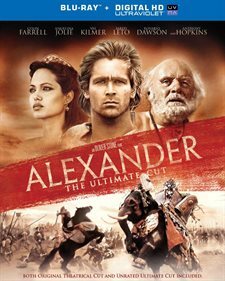 Alexander images are © Warner Bros.. All Rights Reserved.